Wonderfully located place with a beatiful view over the city and well as the ocean. Greenery all around and a truly peacuful feeling to it. Friendly and helpful host, contact via WhatsApp. Baby crib and outdoor play area were available. Our dog was welcome. We were welcomed upon arrival and could check in earlier. Parking on the property. 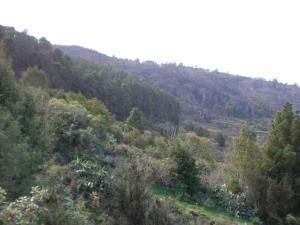 Nice views but very steep road to the Finca. Payment was by cash, which we didn’t know before arrival. Great apartment, spectacular view on ocean and Teide. The owners are very nice and communicative. We have got many fruits and wine at our arrival which was very nice and surprising. At our last day we got very delicious dinner from the owners and small gift for our child. This apartment was the best which we ever had on vacation. We had difficulties to find the property but the owner came with her car to guide us, which was very nice of her. 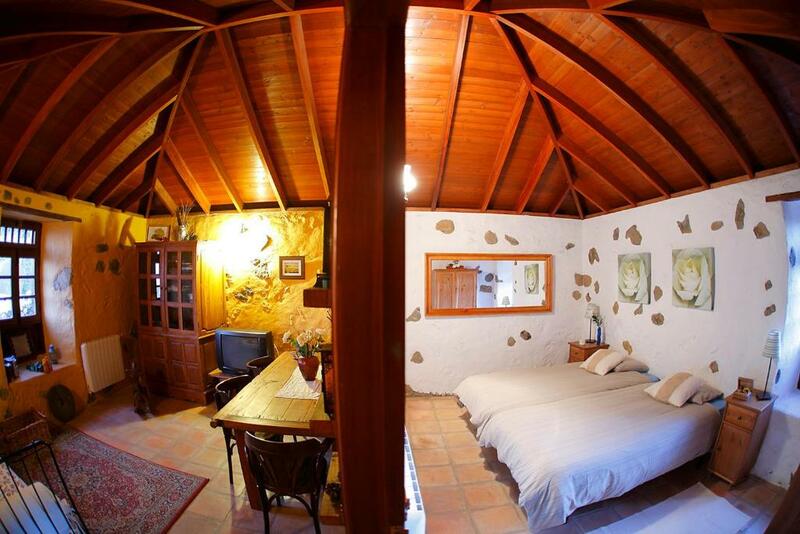 This is a house with character, quite big, well equipped, with a shared terrace and a nice view. We found it clean. Very big and cosy rooms. It was a good experience. 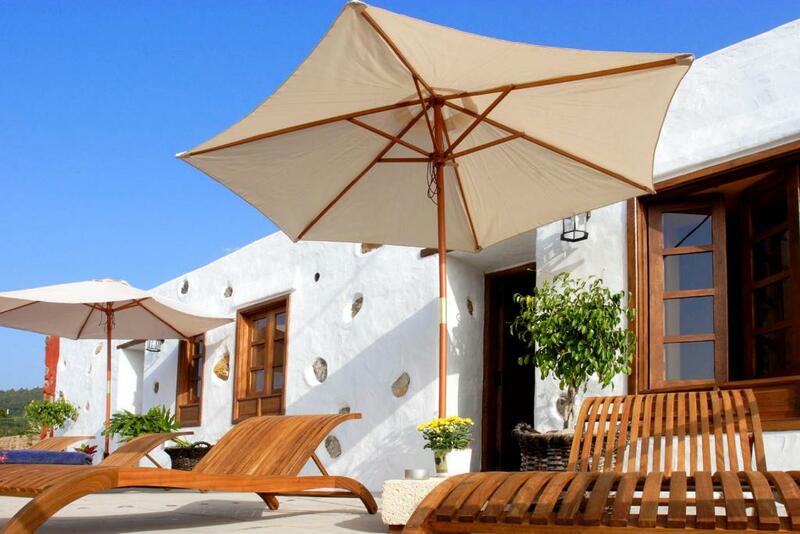 Beautiful and comfortable typical finca located in a quiet and green environment, a few kilometers from Icod de los vinos. 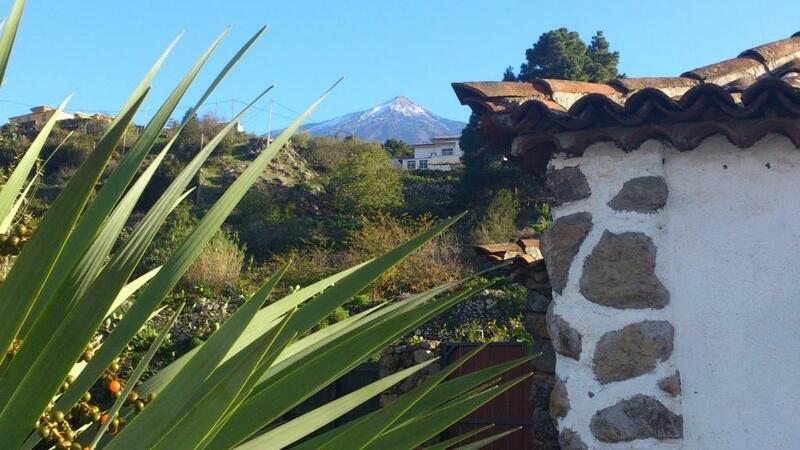 Wonderful view, the Teide can be seen from the terrace when the sky is clear. Extremely kind and helpful host. Top location to reach by extremely steep roads. Very Spanish. Charming character and atmosphere. Tranquillity and no disturbance by neighboured guests. A lot of space - terraces etc. Fresh air in the nature. No traffic. Nice welcome. Cheerful cat. Vistas espectaculares en un entorno natural rodeado de vegetación , pinos árboles frutales ...,que nos han dado tranquilidad y descanso . La casa es estupenda ,muy cómoda y confortable ,posee todo lo necesario para disfrutar de una maravillosa estancia. Se encuentra cerca de Icod de los Vinos donde tienes todo tipo de establecimientos , alimentación , restauración etc. (Lugar emblemático de la isla donde se encuentra el Drago milenario...) Los anfitriones muy amables ,nos hicieron saber su disponibilidad en cualquier momento . Tolle Lage weit oberhalb der Küste mit Blick über das Meer. Die Gastgeber sind sehr hilfsbereit und nett, versorgen einen mit Infos, wenn man sie benötigt, fragen nach, ob etwas nicht passt, um umgehend Abhilfe schaffen zu können. Assegura't un bon preu al Finca Los Ciruelos - els clients que s'hi han allotjat fa poc li han posat un 9,2. "Wonderfully located place with a beatiful view over the city and well as the ocean. 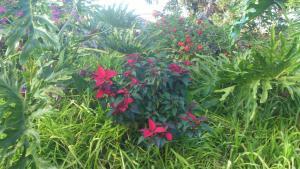 Greenery all around and a truly peacuful feeling to it." "Very helpful owners. Big and well equipped house. Beautiful view from terrace on the ocean, Icod and Teide. Very cute cat. :) Convenient and not steep parking :)"
"Friendly and helpful host, contact via WhatsApp. Baby crib and outdoor play area were available. Our dog was welcome. We were welcomed upon arrival and could check in earlier. Parking on the property...."
"Great apartment, spectacular view on ocean and Teide. The owners are very nice and communicative. We have got many fruits and wine at our arrival which was very nice and surprising. " "We had difficulties to find the property but the owner came with her car to guide us, which was very nice of her. " "Beautiful and comfortable typical finca located in a quiet and green environment, a few kilometers from Icod de los vinos. Wonderful view, the Teide can be seen from the terrace when the sky is clear...."
"Everything : Garden and nature around House spacious clean comfortable Ocean and El Teide View Amazing countryside Location (hiking trails and many more) Welcome dinner Goodbye cookies Kitchen well..."
"Top location to reach by extremely steep roads. Very Spanish. Charming character and atmosphere. Tranquillity and no disturbance by neighboured guests. A lot of space - terraces etc. " "Vistas espectaculares en un entorno natural rodeado de vegetación , pinos árboles frutales ...,que nos han dado tranquilidad y descanso . " "Tolle Lage weit oberhalb der Küste mit Blick über das Meer. Die Gastgeber sind sehr hilfsbereit und nett, versorgen einen mit Infos, wenn man sie benötigt, fragen nach, ob etwas nicht passt, um..."
Un dels best-sellers a Icod de los Vinos! Offering bright, spacious houses with terraces, gardens and views of the sea and mountains, Finca Los Ciruelos is set in the countryside, 10 minutes’ drive from Icod de los Vinos. Each heated house includes a lounge area with sofas, flat-screen satellite TV and a DVD player. Their kitchens are equipped with a microwave, fridge and coffee-maker. There is a shared laundry room and free private parking on site. In the gardens there is a small children’s play area, a vegetable garden and fruit trees. Views of Teide National Park are offered, which is around 1 hour’s drive away. Santa Cruz de Tenerife is around 50 minutes’ drive from Finca Los Ciruelos and ferries to other islands leave from Santa Cruz Port. Tenerife North Airport can be reached in a 45-minute drive from the property. Els clients també diuen que aquest allotjament ofereix la millor relació qualitat-preu a Icod de los Vinos! Aquí els teus diners donen més de si en comparació amb altres allotjaments de la ciutat. Finca Los Ciruelos treballa amb Booking.com des del 21 de juny de 2013. Quan vols allotjar-te a Finca Los Ciruelos? Bright, spacious houses offer terraces, gardens and views of the sea and mountains. Each heated house includes a lounge area with sofas, flat-screen satellite TV and a DVD player. Their kitchens are equipped with a microwave, fridge and coffee-maker. There is a shared laundry room and free private parking on site. En la Finca Los Ciruelos hemos intentado hacer un Gran Jardín, con una gran variedad de plantas, tanto ornamentales como comestibles, formando todo un conjunto que da color y armonía a los jardines. Estos junto con muchos y diversos rincones que se encuentra a lo largo y ancho de la Finca, la hacen muy acogedora para cada uno de nuestros huéspedes donde podrá buscar su pequeño rincón para leer, para relajarse o simplemente para desconectar. Todo esto mas la distribución y ubicación de las tres casas, con un tamaño bastante generoso de estas, con sus propios jardines y terrazas privadas. Si a todo este marco le incluimos un entorno y una ubicación privilegiada, tanto en situación geográfica, como paisajista, es lo que hace a esta verdaderamente un sitio único para el Huésped. Sobre mi, uno de mi mayores hobbys es precisamente pensar en como mejorar y hacer mas bonita la Finca, buscando como aprovechar esos pequeños rincones y como hacerlos útiles para el huésped. Y fuera de la Finca, me gusta mucho practicar deportes al aire libre como Senderismo, MTB, Footing, etc. Una de las cosas que hacen diferentes a Icod de los Vinos, es su gran masa forestal, donde poder dar largas y extensas caminatas, su gran diversidad de lugares a visitar como pueden ser; La Cueva del Viento, El Parque del Drago, Museo Sacro de la Parroquia de San Marcos, Artylandia ( Museo de Muñecas ), y como no su gran variedad en Restauración y en Bodegas. Llegeix-ho Finca Los Ciruelos accepta peticions especials, que pots escriure al pas següent. Cleaning and towel change is done every 4 days. Sheets are changed every 8 days. Cal que informeu Finca Los Ciruelos de la vostra hora d’arribada amb antelació. Podeu fer servir l'apartat de Peticions especials en fer la reserva o posar-vos en contacte amb l'allotjament directament mitjançant les dades de contacte que apareixen a la confirmació. "Friendly and helpful host, contact via WhatsApp. Baby crib and outdoor play area were available. Our dog was welcome. We were welcomed upon arrival and could check in earlier. Parking on the property. Nice views but very steep road to the Finca. Payment was by cash, which we didn’t know before arrival. " 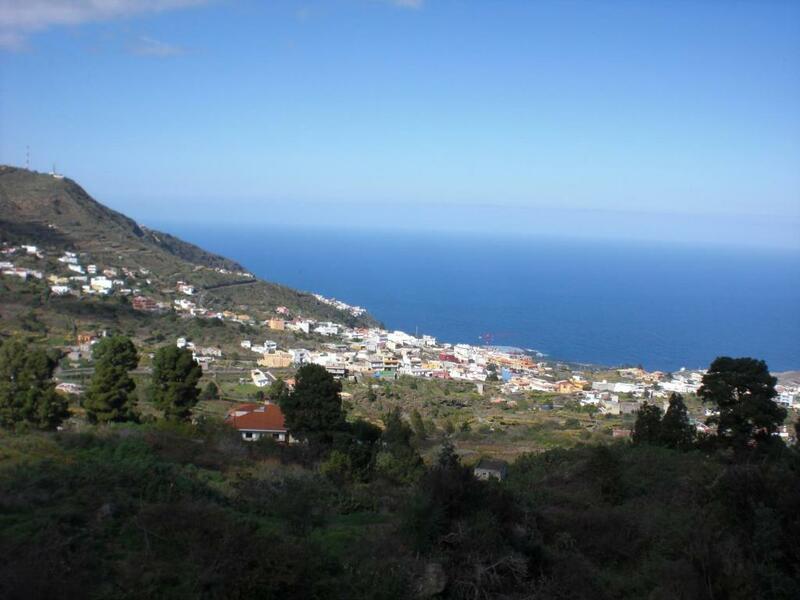 "Great apartment, spectacular view on ocean and Teide. The owners are very nice and communicative. We have got many fruits and wine at our arrival which was very nice and surprising. At our last day we got very delicious dinner from the owners and small gift for our child. This apartment was the best which we ever had on vacation." "We had difficulties to find the property but the owner came with her car to guide us, which was very nice of her. 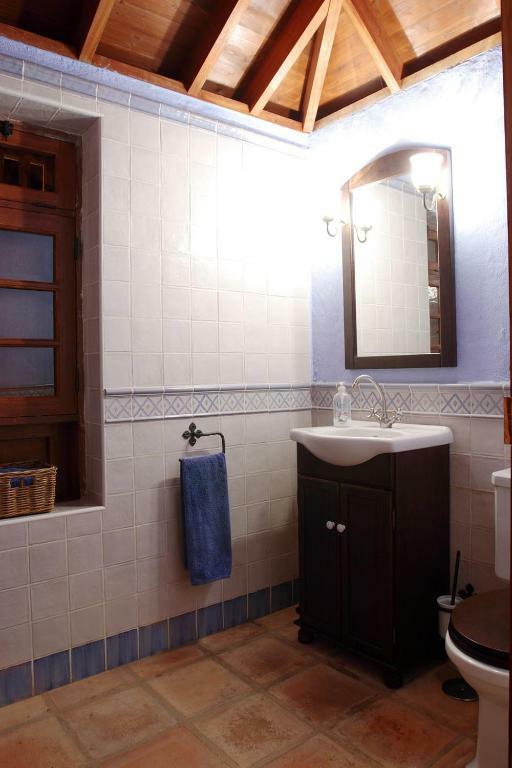 This is a house with character, quite big, well equipped, with a shared terrace and a nice view. We found it clean. Very big and cosy rooms. It was a good experience." "Beautiful and comfortable typical finca located in a quiet and green environment, a few kilometers from Icod de los vinos. Wonderful view, the Teide can be seen from the terrace when the sky is clear. Extremely kind and helpful host." 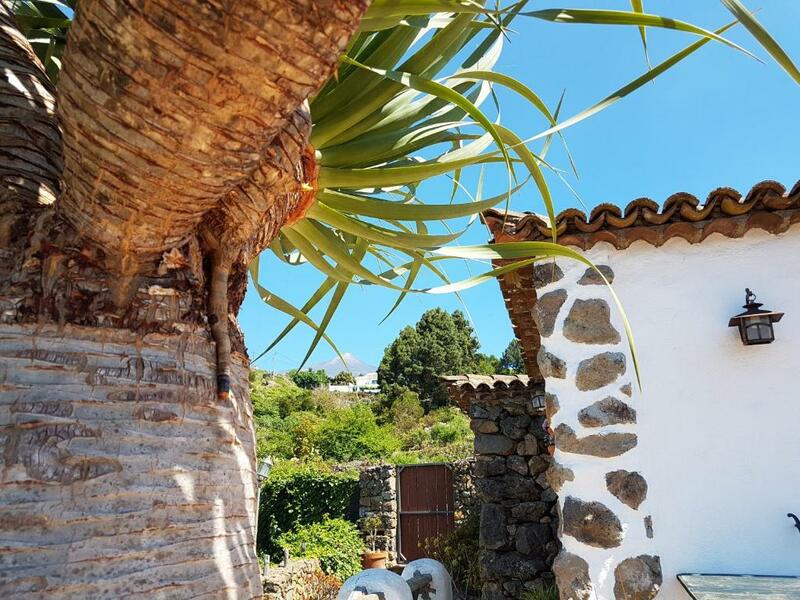 "Everything : Garden and nature around House spacious clean comfortable Ocean and El Teide View Amazing countryside Location (hiking trails and many more) Welcome dinner Goodbye cookies Kitchen well equipped Secure private car park Playground area 7 min to Icod de los Vinos"
"Top location to reach by extremely steep roads. Very Spanish. Charming character and atmosphere. Tranquillity and no disturbance by neighboured guests. A lot of space - terraces etc. Fresh air in the nature. No traffic. Nice welcome. Cheerful cat." "Vistas espectaculares en un entorno natural rodeado de vegetación , pinos árboles frutales ...,que nos han dado tranquilidad y descanso . La casa es estupenda ,muy cómoda y confortable ,posee todo lo necesario para disfrutar de una maravillosa estancia. Se encuentra cerca de Icod de los Vinos donde tienes todo tipo de establecimientos , alimentación , restauración etc. (Lugar emblemático de la isla donde se encuentra el Drago milenario...) Los anfitriones muy amables ,nos hicieron saber su disponibilidad en cualquier momento ." "Tolle Lage weit oberhalb der Küste mit Blick über das Meer. Die Gastgeber sind sehr hilfsbereit und nett, versorgen einen mit Infos, wenn man sie benötigt, fragen nach, ob etwas nicht passt, um umgehend Abhilfe schaffen zu können."